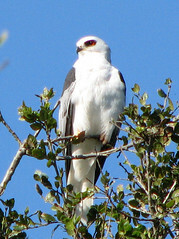 White tailed Kite at Elkhorn Slough. I actually tried my hand at photo-shopping out an annoying branch that was bisecting the bird's face. It actually turned out pretty well.